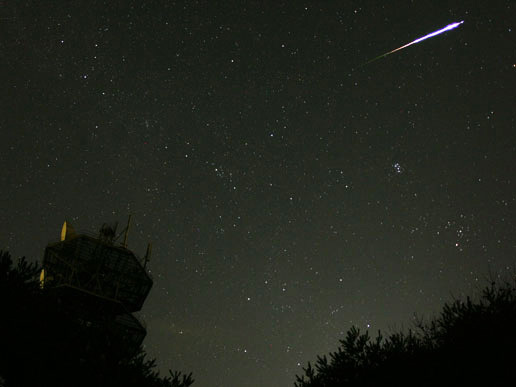 Every year in August, we are given a show from the Perseid Meteorites. It is a special time for me because when my son was younger, he and I would sit in the back yard until the wee hours of the morning watching them streak across the eastern sky. The best time to view is between midnight and 4 A.M. It is best to be in a dark sky, but even closer to city lights, viewers will be able to spot a few meteors. Enjoy the show! Posted in Words of Wisdom and tagged Grandmother Musings, Night sky, perseid meteor shower, Perseid Meteor Showers. Postaday, planets in the solar system, science, shooting stars. Bookmark the permalink. Don’t forget to look up into the night sky this weekend to see the show! Cool, never get to see a meteor shower in India. I’m so glad you posted this! I had forgotten. Hope the sky’s are clear tonite. Hey Big Smile! Thanks for the reminder. I plan on going out tonight in the backyard with a thermos of coffee!